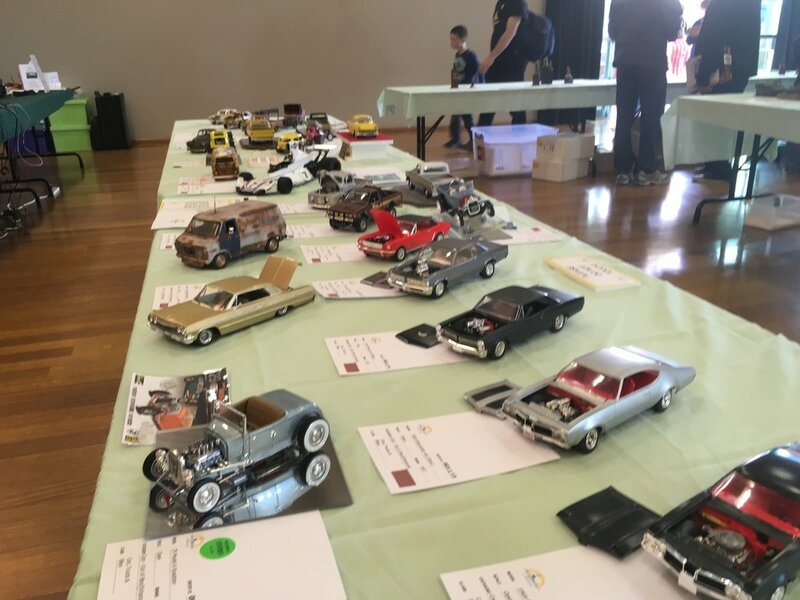 A special feature of the WASMEx event is the WA Scale Modelling Championships. This is an opportunity for all modellers to show off their work and to perhaps even pick up a prize. The hundreds of models on the tables make for a stunning display of modelling craftsmanship. Models must be entered in one of a number of set categories and according to the competition rules. This is to ensure that models of different subjects built to different standards and by modellers of various age groups compete fairly against each other. The models must be the sole work of the entrant and based upon a plastic kit set, although there are exceptions. Before you bring along your models for entry you should make sure that you have read and understood the WASMEx Competition Categories and Rules and Conditions of Entry. The category a model belongs to depends on its subject (e.g. aeroplane, tank, car), its scale (e.g. 1/72nd, 1/24th, 1/35th) and the extent of any modifications to the contents of the base kit. If you are under 18 years of age then you may enter one of the categories specifically for your age group. Those modellers who are 12 years of age or younger on the day of the competition may enter the special Junior category. If you are aged between 13 and 17 years inclusive then you may enter one of the Intermediate categories. Any person can enter in a higher age group if they wish. Please complete only one Entry Form for all the models you wish to enter. The Entry Form is available on the Saturday at the Expo but you will need to take the time to complete it on the day before entering your model(s). This can be very time consuming depending on the number of people completing forms. You can save time and effort by downloading and completing your entry form before you come to the event. Read the Competition Rules and Conditions of Entry to prevent any misunderstandings at the Expo. Submit your entries, accompanying form and entry fees* to the desk in the competition hall on the Saturday of the Expo between 10 am and 2 pm. * A fee of $2.00 per entry is payable to help cover costs. Junior and Intermediate age categories are free to enter. In addition to awards for models judged best in each category there are a number of special awards and trophies on offer. Sponsored by the Vickridge family.